Super nice hostel, fantastic staff! I came back again and was still happy to be there. Staff is super helpful with buses and laundry and makes good breakfast! I absolutely recommend that place! 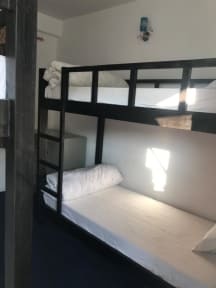 I had a wonderful time in this hostel, comfortable bed and nice rooms. The host was very friendly and helpful! Terrible. Only 1 toilet and shower. They wanted to charge me 1 more night than I booked. No cook around if you want to eat something. In the night a drunk guy urinated on our backpacks! Because of this I left one day earlier and they charged me the whole price without considering the prepayment to **. Super noisy, you can't close the doors. No common room. 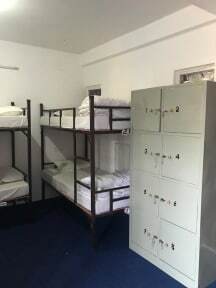 Booked a 4 bed dorm, they wanted to put me in the 8 bed dorm though. Never again!